Born in the 1970’s, Scott was raised in the Chicago area and has some deep midwestern roots. His blended family consists of a long-time girlfriend, two biological sons and one step son. He spends his weekdays as a Web/Digital Designer and weekends coaching baseball, geocaching and spending time with family. Scott found his first geocache (after DNFing many) on July 25, 2008 and never looked back. With a recent purchase of an iPhone, Scott read about geocaching with an iPhone in a magazine and decided to give it a try. From that day on, Scott has been hiking forest preserves and lifting lamp skirts on a regular basis. 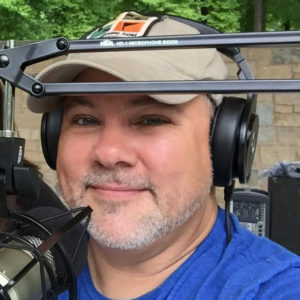 Scott has been podcasting since 2010 and has been on the GCPC since 2013. 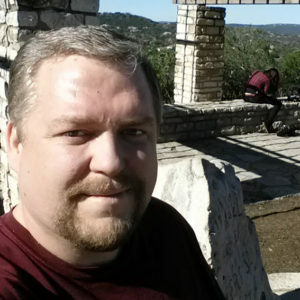 For 4 years (2010-2014) he hosted The Chicago Geocacher Podcast and is currently one of the co-host of the What’s Up, Internet? Podcast. Born in Berlin, Germany in the early 1970’s, Chad was raised in the Indianapolis area. Spent time as both a country mouse and a city mouse while growing up. Lived for 20yrs in Houston, TX where he met and married his lovely wife, and discovered geocaching. He now lives and caches in Northern California. He’s happily married with one son who used to geocache with him, but is now ‘too old’ for that sort of thing. He enjoys spending time with the family, swimming, hiking, and also vegging out in front of the TV. In 2010, after seeing a colleague with a screen full of smilies and asking what the heck that was, he discovered Geocaching. He used a Garmin Nuvi (Car GPSr) to find his first 11 geocaches over the next week. This was followed by a 133 day day slump. He then found himself in Xi’an, China asking himself, if there were any caches around. One cache within 100mi radius, at the Terracotta Warriors Exhibit. Well, that set the plans for that weekend, and many weekends to come. Chad has been hosting the GCPC since 2014. Jessie lives in Chicagoland with her Sweetie and their three boys. Their lives pretty much revolve around the kids and their sports. When she is not on the sideline, you can usually find Jessie geocaching, knitting, and spending time with her family. She found her first cache in 2011 after hearing about geocaching through a family member. She borrowed an old e-Trex GPSr and actually found her first 25 or so caches by manually entering coordinates into that GPSr. Seven years and over 10,000 finds later, she still loves the thrill of the hunt, although she has switched over to using a smart phone to cache almost exclusively. 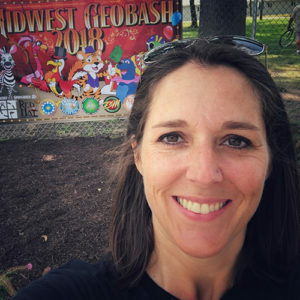 Some of Jessie’s most memorable geocaching experiences include visiting the Original Stash Tribute Plaque, an epic 3-day 7-state road trip to the GPS Adventure Exhibit in Alabama, and many days and nights spent exploring with friends. 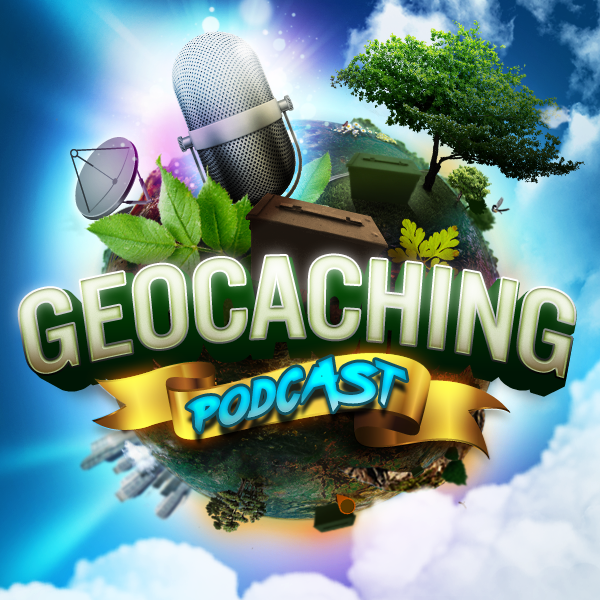 Jessie joined the crew of The Geocaching Podcast as the call screener in 2018, although she is not new to podcasting. She has appeared as a guest many times previously on The Geocaching Podcast as well as GeoGearHeads and Geocache Talk. She also authors a blog about her geocaching adventures at shortyknits.com.